France star Griezmann has always been linked with a move away from Atleti, with Barca holding talks with the 27-year-old's representatives in the latter stages of the 2017-18 season. 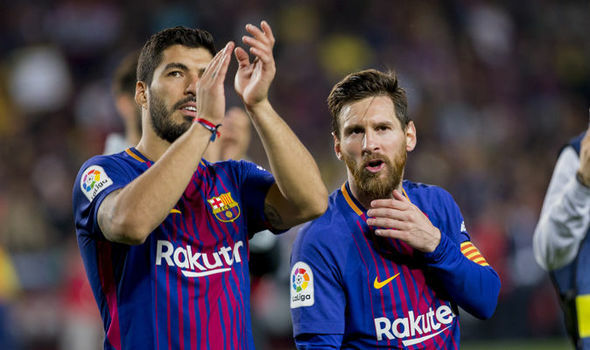 However, Pique's hopes of lining up alongside Griezmann next season were dashed when the prolific forward confirmed that he would remain at Atletico. "My fans, my team, my home!" the French hitman posted - along with a very cool video - on his official Twitter account following his revelation. Griezmann scored 29 goals in all competitions for Atletico last season, helping them finishing second in La Liga and winning the Europa League. "If they [Atleti] buy good players we can win the Champions League here and enter the history of the club". 'We're missing something, ' he mused. The documentary attempted to emphasise that Griezmann had been weighing his future for the past two months, showing phone conversations he had with his sister and agent, Maud, and his deliberations while visiting his horses. "'Let's talk a little bit', he told me". "They are doing everything they can to keep Atletico growing and so that they can play the Champions League final, hopefully at home [in 2019]".